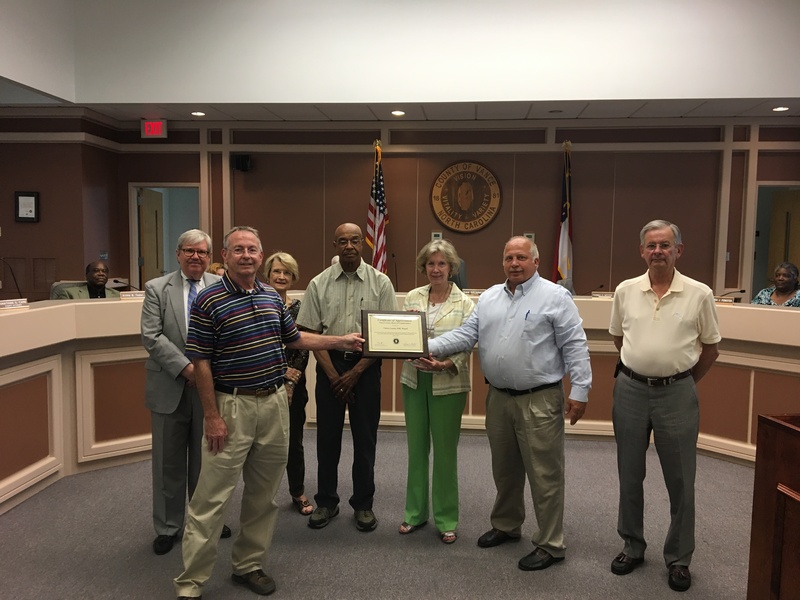 The Vance County Board of Commissioners recognized the ABC board for displaying sound financial principles and management during their July 6th meeting. The ABC board retired their debt for the Vance County ABC Store 7 years early and saved $175,000 in interest costs. Shown from left to right are….front left (David Parham, ABC Store General Manager), back row from left (Jerry Stainback, Anne Tucker, Arnold Bullock, Nancy Wilson – ABC Board Members; Andrea Harris – absent), Commissioner Chair Dan Brummitt, Commissioner Vice-Chair Tommy Hester. The Vance County ABC store is located at 874 S. Beckford Drive, Henderson, NC and operates Monday – Saturday 9AM to 9PM.